Water Damage Salem Available 24/7! Water damage is what happens when the unfortunate occurs in your home in the form of water rampaging unbridled through your property causing chaos and destroying your possessions in the process and this is why our water damage Marion pros are here and available 24/7 so that we can mobilize our crews of professionals to your location before things get worse and cost more. Our water damage Salem pros will respond within 45 minutes of your call no matter where you are, or when your nightmare scenario started. We will be there to get rid of it for you in no time at all. Our pros are fully trained and certified to deal with any crisis and we make our water damage restoration services available with a free inspection and even same day service too. This way we can get started returning your home to normal, and you can get an idea of how much it may cost you to do so. If your home is overrun with water damage and you want to know if your situation will cause mold growth to take hold, then contact our water damage Salem experts with 911 Restoration Southern Illinois today. Water damage on any level of your home, in any form or category of water will almost always cause mold growth if it is left untreated for too long. The powerfully invasive and prolific breeding capacity of mold is why our techs are all IICRC certified and overwhelmingly highly trained to take on any kind of mold that we find or any kind of water damage crisis that causes it. Our water damage Salem pros recognize that the horrors of mold exposure aren’t at the top of the priority list for many homeowners, even those with existing mold issues and this is a problem. Not only is mold a horribly ugly presence, but it is also a significant health risk as well. If you happen to inhale mold spores or fungus infestation particles of some sort you may develop symptoms such as overpowering congestion and ever respiratory issues if it isn’t treated by a health professional quickly. This nasty nature of mold spores is why we are licensed, insured and bonded to take on any kind of mold contamination that grows in your home. If you have a mold crisis and you want to know who to call for the home water damage repair work that likely is the source of it, then contact our water damage Salem pros with 911 Restoration Southern Illinois today! If your home is a moldy nightmare and you want to know who to call for the home water damage repair work needed to eliminate the source of the contamination, then contact our water damage Salem pros with 911 Restoration Southern Illinois today. Our experts have been doing this work for decades and in that time we have managed to partner with everyone possible so that we can make this event as easy for you to get through as we possibly can. We are working with all insurance companies to achieve this endeavor and it also allows us to make these events even easier for you. This way we can even file the insurance claim on your behalf to make things go smoother. Even if your particular crisis won’t end up being covered by your insurance carrier, we will still work with you to find the most affordable price for the work that your home needs. If you are already amid a water damage catastrophe and you want the best water damage restoration company in Salem to deal with cleaning it up and repairing things for you, then contact our water damage Salem pros with 911 Restoration Southern Illinois today! 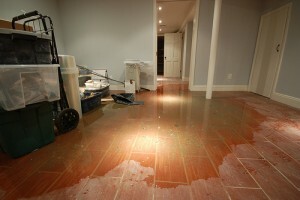 What Is The Best Water Damage Restoration Company In Salem? Our water damage Salem experts have been doing the best work in the industry with over 35 years of experience and this is just one of the huge and varied list of things that make us the best water damage restoration company in Salem. We are also fully capable and comfortable taking this title due to the fact that we always put the customer first in every crisis situation that we are presented with. We don’t just do this because it’s great for business, but also because we truly care about the good people of Salem and their homes too. We value professionalism and this is what allows our techs to be in persistent pursuit of new and better ways that we can make this tragedy as easy for you as possible. Recently our pros have taken to learning the history of the area around us so that we can better plan our routing abilities and even our capacity to predict such events. We do this by studying the past of the location we are servicing so that we can learn what might happen, and where it might happen in the future. Just the other day our pros learned that Salem is the home to the Miracle Whip company which supplies the world with an alternative to real mayonnaise. And while the residents of the area are proud of their mayo alternatives, they don’t want the prospects of water damage to congeal in their home and force them out, and this is why our pros are always at the ready to take on any disaster, no matter what. 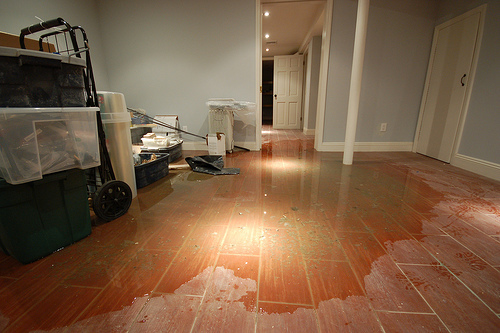 If you are in the middle of a water damage crisis and you want the best in the business to deal with the aftereffects and the cleanup process for you, then contact our water damage Salem pros with 911 Restoration today!